Work abroad sounds like an adventure to many people. However, jobs in India need more than the India visa application and just the obvious India cover letter and India CV writing and translation - they require thorough preparation. on the result of your adventure! For example, you will experience the unfamiliar immigration rules and practices, strange job application procedures, bizarre job selection trends and weird management culture. Foreign job seekers should be prepared to take India as it is with all of its difficulties, contradictions and challenges. Bureaucracy, corruption, an absence of international business standards and unwritten laws determining the cultural and regional diversity confront foreigners with sometimes aggravating pitfalls. There is a distinct difference in the cultures of the government departments and business organizations. Most visits to India are trouble-free but you should be aware of the global risk of indiscriminate international terrorist attacks, which could be against civilian targets, including places frequented by foreigners. Tourist visas are issued to people who want to come to India to visit friends and go sightseeing. Although tourist visas can be granted for more than six months, depending on the applicant's nationality, it's not possible to remain in India for longer than six months at a time on a tourist visa. 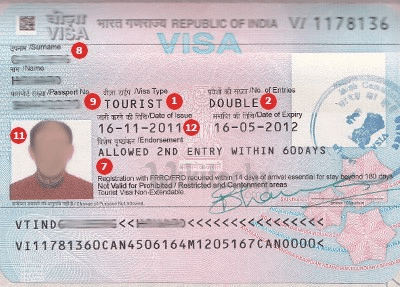 In late 2009, India introduced new rules to curb the misuse of tourist visas in India (people who were living in India on a Tourist visas, and doing quick runs to a neighboring country and back every six months). Specifically, a two-month gap was required between visits to India. This requirement was finally removed in late November 2012. However, some exceptions do still remain. Also, note, that if you apply for another tourist visa within a month of expiration of your old one, processing may take up to 45 days as approval needs to be obtained from the Ministry of Home Affairs. A foreigner of Indian origin. Spouse and children of a foreigner of Indian origin or Indian citizen. Spouse and dependent children of a foreigner coming to India on any other long term visa, such as an Employment visa or Business visa. Unlike Tourist visas, X visas are not subject to the two-month gap. Therefore, people of Indian origin should apply for one of these visas when visiting India. It's not possible to work in India on an X visa. However, X visas can be extended in India, and there's no need to leave every six months. Employment visas are issued to foreigners who are working in India, for an organization registered in India. Foreigners doing volunteer/intern work in India are now granted employment visas (as opposed to X visas, which was previously the case). Employment visas are usually granted for one year, or the term of the contract. They can be extended in India. In order to apply for an Employment visa, you'll need proof of employment with a company/organization in India, such as a contract that states the terms and conditions. There's a new rule that applicants must be earning $25,000 a year or more. Exceptions are made for volunteers, ethnic cooks, translators, non-English language teachers, and members of Foreign High Commissions and Embassies. In regards to yoga, the term "Yoga visa" is often mentioned. However, it's actually a Student visa that's provided for the purpose of studying yoga. Most of the well-known yoga centers in India will require those who study with them to obtain a yoga Student visa. A tourist visa is not sufficient. 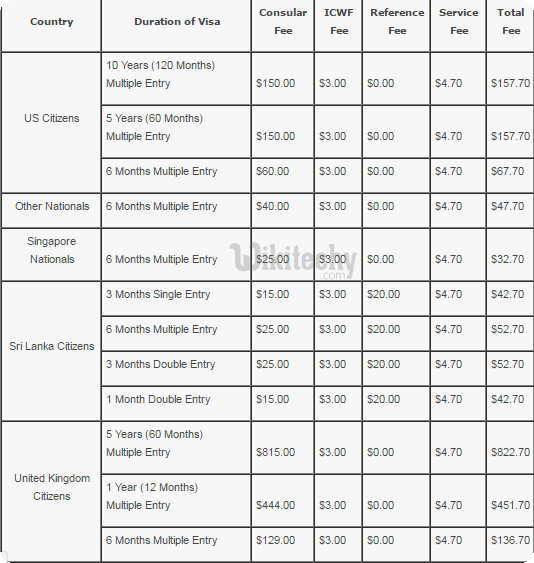 Business visas are valid for six months or more, with multiple entries. However, holders usually aren't allowed to remain in India for more than six months at a time (depending on the nature of the business). Ten-year business visas can be granted to foreigners who set up joint ventures in India. Research visas are issued to professors and scholars who wish to visit India for research related purposes. This is another difficult category of visa to get. It's restrictive and comes with a lot of requirements. Applications are sent to the Department of Education. Ministry of Human Resource Development for approval, which may take three months to be granted. Many people choose to apply for a Tourist visa instead, if they're conducting research informally and not going to be in India for more than six months. 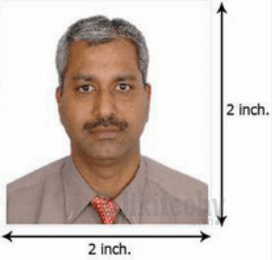 Alternatively, you may provide two color, passport-type photographs that meets the following strict criteria: be taken within the last three months against an all-white background and printed on high-quality photo paper; be identical; be two inches by two inches; provide the full-frontal view of your head with your face centered in the middle and displaying a neutral (non-smiling) expression. You may not wear eyeglasses or headwear except for religious purposes. Your photo should not be affixed to your application and the photograph may not display evidence of adhesive tape or staples. Photocopies of both parent’s driver's licenses and a copy of the information pages of their passports. Both parents must also sign and complete the Parental Authorization Form for minors included in this kit. you must provide a copy of your driver's license: Your copy must display your home address as it appears on your visa application form. You are required to provide a Business Cover Letter from your U.S.-based company. Be certain your letter meets the specific requirements of the consulate by using our Digital Business Cover Letter. Visa Central provides a guide to assist you in completing the application. Visa Central Order Form Provide the Visa Central Order Form included in this kit. You must make a personal appearance at the Indian Consulate to process your visa if you are a person of Pakistani origin and/or formerly held a Pakistani passport. The consulate requires additional procedures in order to process your visa and Visa Central is unable to assist in these procedures. If you are a US citizen born in China or Hong Kong SAR, the embassy will require 30 days to process your application. If you have an urgent visa application that carries a tight deadline, Visa Central can help you to save valuable time and avoid expensive delays. A Visa Central expert will review all of your documents to certify your application is accurate, complete and ready for submission. We will contact you personally to quickly handle any mistakes ensuring your application is submitted correctly. The US State Department recommends US citizens register with the US Embassy(s) in the countries they plan to visit. Feel more secure about your international travels by having Visa Central register your trip with the US Department of State. Registration notifies the US Embassy in each country of your travel plans and enrolls you in the State Department travel advisory and warnings program. To enroll in this optional service, complete the registration form in this kit and send it to us with the rest of your documents. India has no barriers to the entry of foreigners. All nationals require passport valid for at least 190 days. It is easy to get a visa to enter the country. All nationalities require visa to enter India. To work in India, you must have an employment visa. To obtain one, your employer has to send an invitation letter to the India consular services providing information about your qualification, a contract with the details of your salary and a letter justifying why the company needs to hire a foreigner rather than an Indian national. Also, you need an employment visa to be able to open a bank account in India. If your India job search and application for the India visa and India work permit have been successful, you should start preparing for the India job interview. Do not forget to take a look at India dress code because how you dress is the one of the most important attribute in being hired. Good luck with your India visa!